A young novitiate in a convent is suddenly thrust (forced, really) into a visit with what's left of the family that she has not seen since early childhood. Under duress, she does this, and secrets are soon revealed. 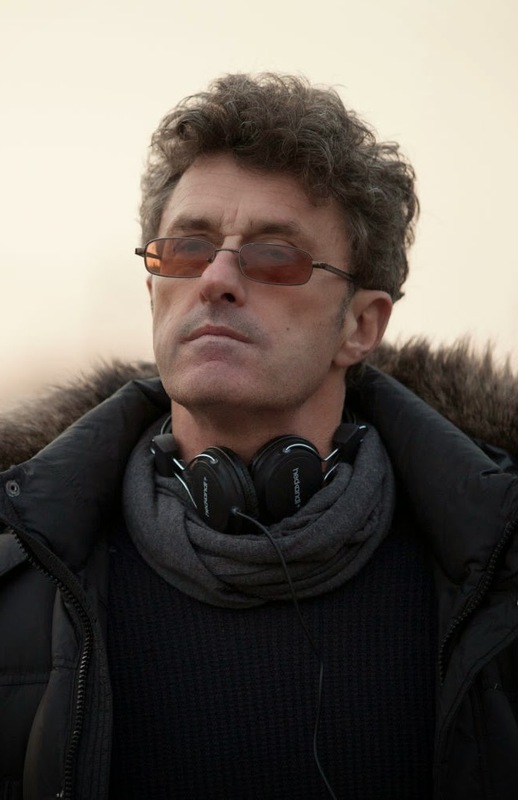 Co-writer (with Rebecca Lenkiewicz) and director Pawlikowski (shown at right) has taken these secrets -- there is but a single important one, but this leads to the discovery of others -- involving heritage, family, religion, the Holocaust and the meaning of identity itself, and from them built a sturdy but suprisingly swift, 80-minute movie. 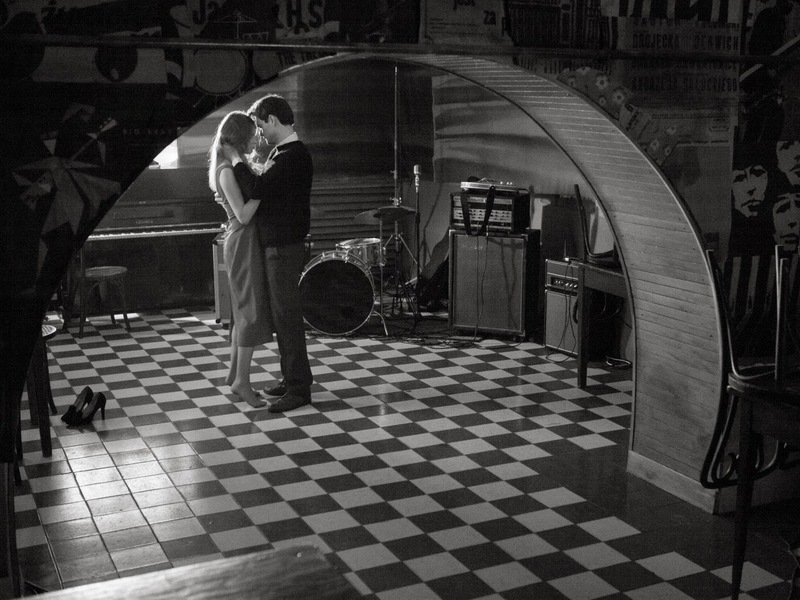 Ida is but Pawlikowski's fifth film in fifteen years, While Last Resort is said to be his best by far (till now), I have not been able to see it, though it has remained, unfulfilled, in my Netflix queue for over a decade. 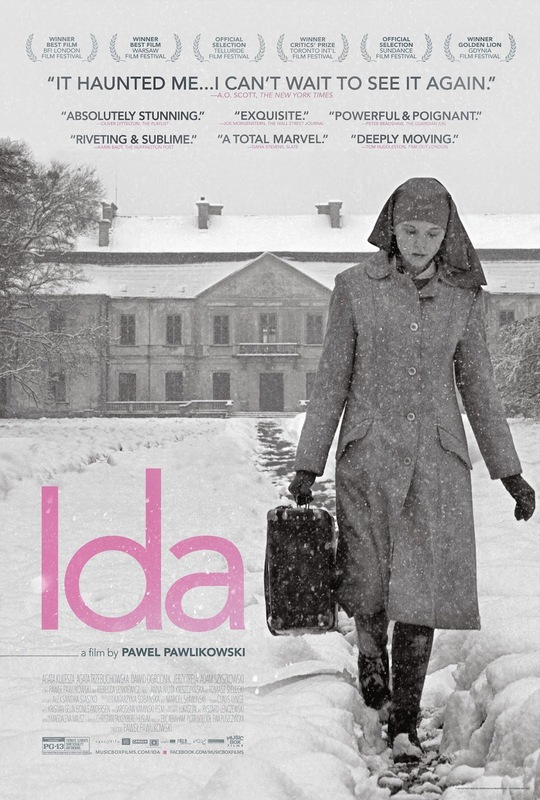 The films I have seen -- My Summer of Love, The Woman in the Fifth and Ida -- have been interesting and often beautifully filmed, but they seem nowhere near the level of praise accorded "Summer" and now Ida. The good-looking young hitchhiker (above) the two woman pick up en route to their destination turns out to be a game-changer (below). Surprise? Hardly. Just about everything that happens in this movie is a game-changer. 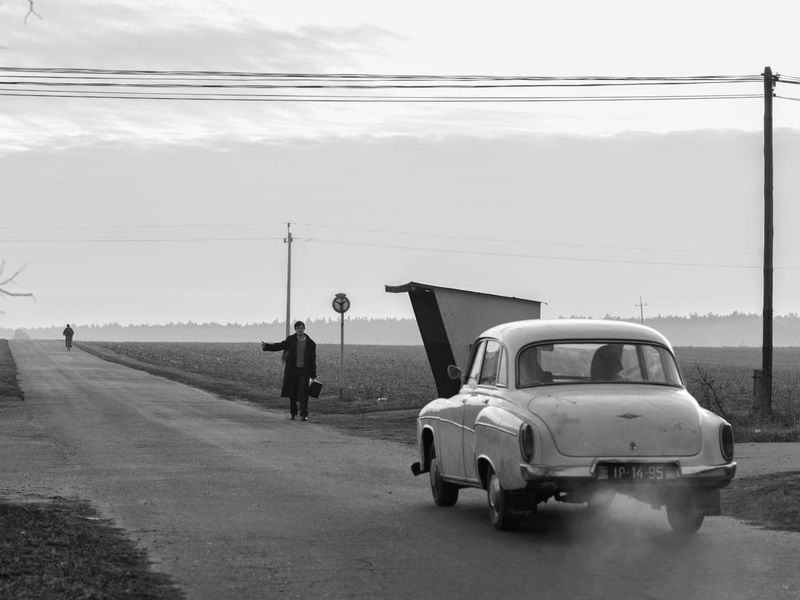 Ida does not even last the length of the standard 90-minute film, yet the simplicity of the story -- in which enormous events unfold rather quickly (the present time frame takes place in but a few days, maybe a couple of weeks, although the history of these people goes back a couple of decades) -- borders on the simplistic. And as good as the actors are, we get the kind of standard characterization in the screenplay that quite fully explains motivation and action yet does not allow for the kind of specifics that reveal in-depth characterization. This is particularly true of the character of Ida/Anna (the lovely Agata Trzebuchowska, who may just have the darkest pairs of non-special-effects-induced eyes in the history of cinema). Raised in a convent, Anna/Ida would not, it is true, be one for much small talk or explanation. But still, for us in the audience, inquiring minds want to know. Her aunt Wanda is another matter. We get everything we need to know of her, distilled just about to its essence. As played by the beautiful, and beautifully sour actress Agata Kulesza (below). Wanda is the picture-perfect renditon of a woman who placed social/political duty/revenge above family, repressed it, and now finds it suddenly taking over her life. How this character/situation works itself out is a case study full of facts, excellent performances, and a screenplay offering pre-arranged resolution rather than messy life. If I sound a bit down on Ida, this is more a reaction to some of the overly effusive praise lumped on the movie than anything else. The film is beautiful to observe and worth seeing. But a classic of any great depth? I don't think so. Compare it, for instance, to one of the late Claude Miller's fine films on some similar themes -- A Secret (which you can now stream via Netflix) -- chock full of that messy life, which Miller and his cast and co-screewriter Natalie Carter (from Philippe Grimbert's novel) turn into to moving art. In the concise, contained Ida, the secrets, resolutions and -- hell -- everything else, too, come just a little too easily. 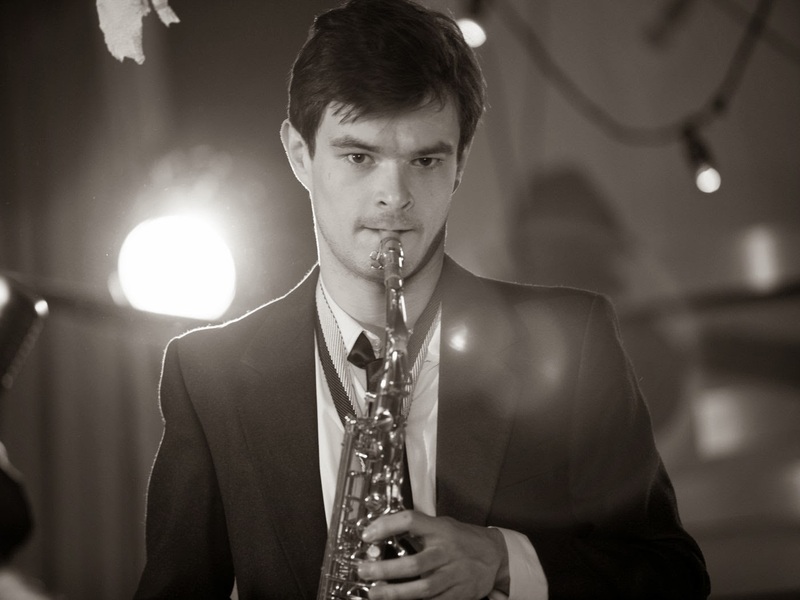 The movie, another worthwhile piece from Music Box Films, opens this Friday May 2, in New York City at the Lincoln Plaza Cienma and Film Forum on Friday, May 2, and in Los Angeles at Laemmle's Royal. In the weeks to come the film will open all over the country. Click here to see currently scheduled playdates, with cities and theaters.